While I am not asking the question here, a recent question concerning osmosis at the Bio SE caught my interest. In a nutshell that question was, given isotonic solutions of sugar inside and outside an immersed semipermeable bag, what will happen if a second solute--too big to escape through the membrane-- is added to the bag? The question has an SAT flavor but I think it should be possible to answer it with a fairly straightforward DIY procedure. So my question here is whether the outline I have in mind would work, or whether something better can be devised. Procedure: Make an n-molar solution of dextrose. Make an (n+x)-molar solution of dextrose [n] and a second [x] solute S (sucrose? starch? urea?--something that will not pass through the membrane). Fill the bag with the dextrose/S solution. Immerse the bag in the dextrose solution. Osmosis alone will draw water into the bag. The question to be answered by the procedure is whether there will also be a net diffusion of dextrose out of the bag so that the final concentration of dextrose is higher outside the bag than inside, i.e., higher than the initial n-molarity. According to one internet source, dextrose will rotate plane-polarized light about $30^o$ clockwise. If my null hypothesis is that the n-molar solution and the post-osmosis/diffusion solution outside the bag have the same molarity (i.e., that there is no net movement of dextrose out of the bag), and if I am able to construct an apparatus to measure optical rotation consistently in my kitchen, could such an apparatus be sensitive enough to reject $H_o$ if sugar in fact diffuses out of the bag? Can anyone suggest a good practical way to set this up? Suggestions for types of membranes, necessary polarizing/light equipment, second solute S, etc. all welcome. Also, if there is a simpler/better way of going about this that would be great. Sucrose reportedly rotates light more (perhaps $40^o$) but it may be too large to pass through some commercially available membranes. Fructose only rotates light about $10^o$ so I don't think it can be used here. Could sucrose be used as second solute? The thermodynamics tag is added since I think diffusion is properly an aspect of thermodynamics (see Fermi, Thermodynamics, ch. VII). Please feel free to edit if I am mistaken. There are way more sensitive ways to measure dextrose (glucose) concentration than polarimetry. For example, there are reducing sugar tests like the Dinitrosalicylic Acid test or (better) the 2,2'-Biconchoninic acid test. Just measure the dextrose concentrations inside and outside of the bag. I have protocols for these tests if you want; it involves getting ahold of the reagents and a spectrophotometer (unless you just want to do it qualitatively, look at the color and see if they're different), but presumably that would be no more difficult than getting hold of a polarimeter. As far as the second solute S goes, you want something that's a lot larger than glucose. I'm only familiar with dialysis tubing that separates small molecules from proteins, so I would go with that. Cheap regenerated cellulose dialysis tubing has a molecular weight cutoff of 10,000, so use glucose (MW 180) and cheap (and soluble) Bovine Serum Albumin (MW 66,000). You always want something at least five times less than or five times greater than the cutoff for these tubes. Be careful, there are reducing tests for sugars and reducing tests for proteins, they often use the same techniques but in different conditions, so with one protocol they'll be very sensitive for one and much less sensitive for the other. As long as you have blanks, it shouldn't be a problem, but make sure you're following the right protocol. Or if you really want to be fancy, there's a fluorimetric test that is extremely specific to glucose, using glucose oxidase. Or if you want to be DIY, just use a diabetes glucose meter and strips. I first considered that you could use glucose test strips to measure the concentration of glucose inside and outside of the bag after allowing the system to come to equilibrium, but there are some issues with them. First of all, they are not a direct measure of glucose in a solution. 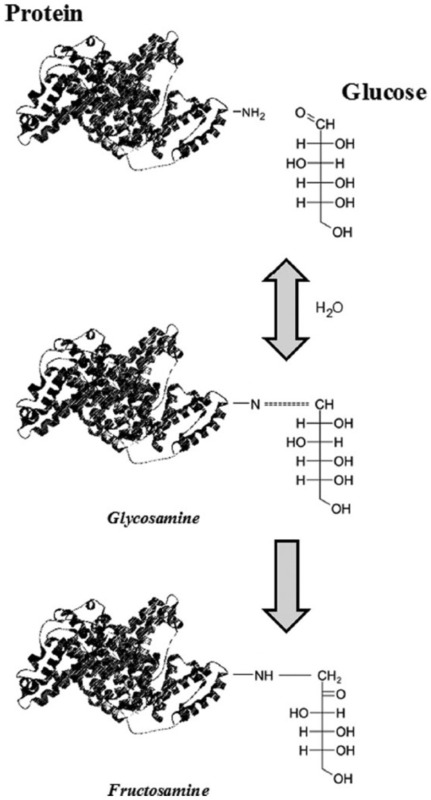 An enzyme in the test strip known as glucose oxidase reacts with glucose in the aqueous component of the blood, in a hypothetically fixed volume in the test strip, and allows a current to pass through the solution. The strength of the current is used to give the readout on the glucometer. Rather than measuring glucose, it actually directly measures electric current. Test strips are manufactured to specifications that allow them to very by up to 20% at 100 mg/dl or above, and to vary by any amount on 5% of tests, and they are allowed to vary by 20 mg/dl in ranges below 100 mg/dl, as well as to vary by any amount up to 5% of the time. Second, test strips do not measure glucose concentration, but rather estimate SERUM glucose concentration from whole blood glucose concentration. It appears to me that there is a simple, direct method of finding out what happens. Take a known volume and concentration of a solution of glucose in a "bath". (You could even make and leave this in a large graduated cylinder). Make another solution that has the same concentration of glucose, and add your larger solute. Cover the system to prevent evaporation. After equilibrium has been reached, remove the bag, measure the volume of the bath, and take a very small known volume of the solution (depending on the precision of your scale). Weigh a watch glass, or even a microscope slide if you have 0.001 precision. Place the known volume on the watch glass. Weigh it and then allow the water to evaporate and weigh the dry sugar. That will give you the concentration of glucose in the solution after the system has reached equilibrium as well as the mass of water per volume of solution (the solute concentration will effect the overall volume of the solution). You now know everything that changed with the solution bath. -The change in the amount of water (mass of purified volume) in the bath because the weight of the known volume of solution on the watch glass minus the weight of the sugar after evaporation will be the weight of water per volume of solution. Since you can derive how much water and glucose moved into the bath, you can also calculate the actual amount of water and sugar that exited the bag (ie everything needed to derive anything else). I would use starch rather than Albumin in the bag because glucose will spontaneously glycosylate protein and be bound to them, preventing them from flowing through the dialysis bag and also otherwise changing the energetics. Not the answer you're looking for? Browse other questions tagged thermodynamics home-experiment experimental-chemistry osmosis or ask your own question. How will water move across a membrane that is permeable to only one solute? What acid did I accidentally create, and how? How to measure and transfer suspensions?